Why Do All Those Parisiennes Wear Black? I am sitting on the 69 bus going from our place near Place Gambetta to the Bastille and looking out the window at the grey sky. You know how you assign colors to places? I assign bright blue to Marseilles in the south of France even though it rains there from time to time and I assign grey to Paris even though the sun does come out and the sky is blue. But I maintain that the true color of the Paris is grey. Resolutely grey. And the true color of the clothes people wear in Paris is black, just as the color of the clothes people wear in Marseilles ranges from yellow to pink to orange to turquoise, the brighter and bolder the better. The people of Paris may wear colorful clothes in the summer but when September slips around the corner, they’re back in black and gone to grey. This morning on the bus I count the number of women wearing a color other than black. The result: three! (Out of hundreds). One is Chinese; she’s donned a bright pink scarf. Another is a Muslim who wears a cheerful pink hijab. A white-haired Frenchwomen dressed in a dusky rose pink coat walks her (black) dog. The deal in Paris is that black is the basic. If you do wear a color, it’s generally a top or a skirt or an accessory. But black is the base. I like that phrase so much that I’ll almost forgive all those Parisiennes for walking around in black against the backdrop of a grey sky and making me feel like I live in a black and white photo. But if you can’t lick ’em, join ’em which is why I attached the photo below proving that I too wear Paris black! This entry was posted in Uncategorized on September 26, 2016 by harriet.welty. 40 years have passed since an irreverent, fun and sassy publication called The Paris Metro hit town. Tonight, in Paris, the founders of and contributors to that very special magazine, which unfortunately died after only two years and 64 issues, will be celebrating its 40th anniversary, starting in fine style with a champagne cocktail at the emblematic Tour d’Argent. For the commemorative booklet put together for the occasion, contributers were asked to write long or short pieces about Paris in the 70s and personal memories of The Paris Metro. I was flattered to be included: I only wrote one article for the magazine. But that piece was priceless, for me at least. Below are my reflections on “Don’t Eat Your Soup With A Fork” and how it inspired me as a writer. 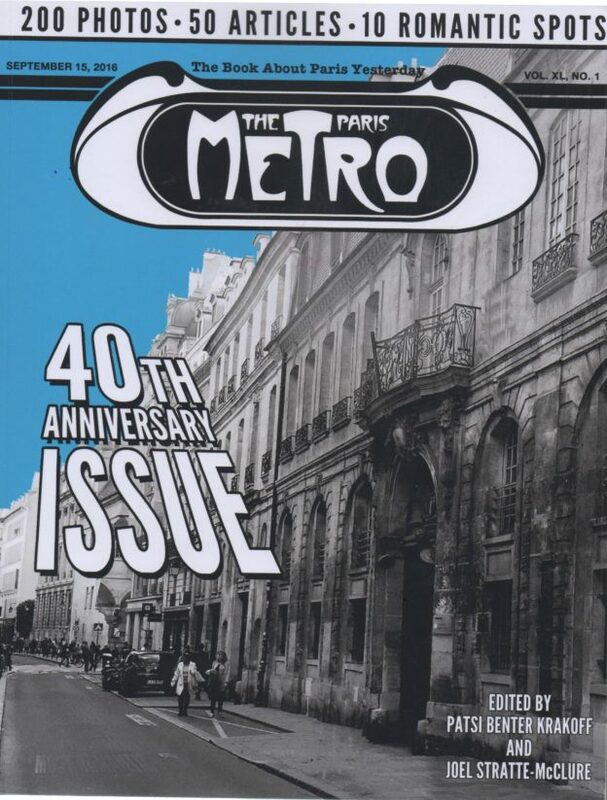 (The Paris Metro 40th Anniversary book edited by Patsi Benter Krakoff and Joel Stratte-McClure is on sale at amazon.com). Let’s see….got to situate this. Paris Metro ? The magazine, not the underground. That was eons ago. Can I even remember it ? And better than that. I am sitting here in my home office in Paris looking at a photocopy of a long feature I wrote for Paris Metro called « Don’t Eat Your Soup With A Fork ». It was even illustrated with four delightful drawings, one of which showed a well-dressed man manipulating a giant lettuce leaf that sprang up in his face, spattering vinaigrette all over his clothes, the tablecloth and his terrified tablemates. (That was to illustrate my point about how a good hostess should always cut lettuce into bite-sized portions). I can’t remember who had the idea for an article about French politesse but I do remember that the editor had a concrete suggestion about who to contact. The name he gave me was Princess Beris Kandaouroff. 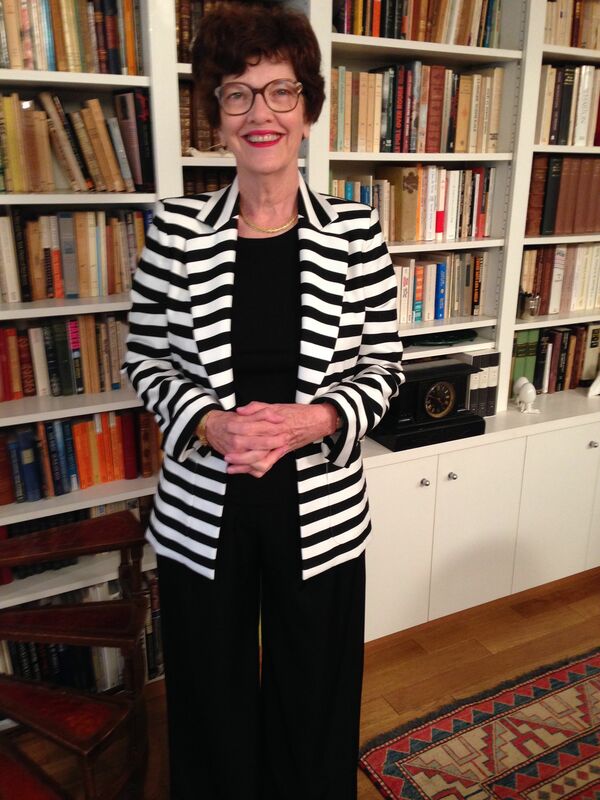 She was an Englishwoman who had penned « The Art of Living-Etiquette for the Permissive Age ». 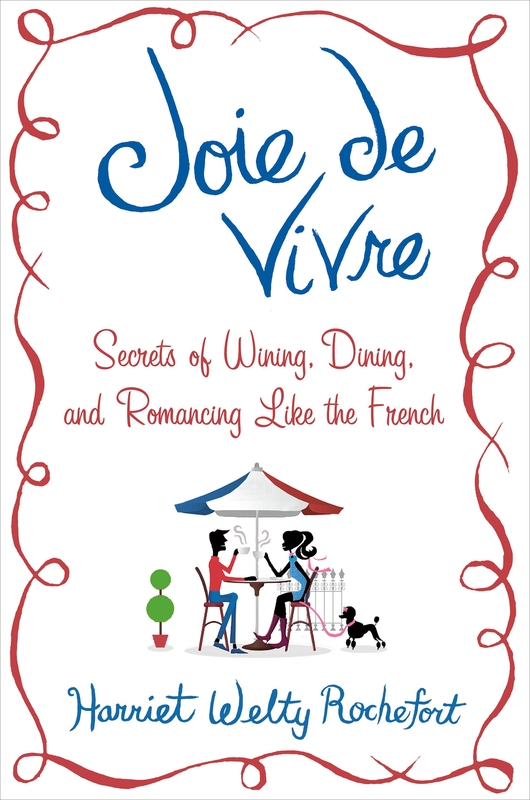 I duly trekked over to her apartment, somewhere in the 9th arrondissement as I recall, where she cheerfully proceeded to give me a crash course on what to do and not to do in France if you want to abide by the rules. Ca se fait and ça ne se fait pas are things most French instinctively know but we poor foreigners don’t, hence the necessity of books,articles and general instruction on the subject. Most of the rules concern dining which, in a country obsessed with food, is no surprise, and my article went on and on about all the horrible faux pas one could unwittingly commit at a formal dinner party if not in the know. Offer carnations ? Never – they bring bad luck. Sop up that delicious sauce with your bread or a fork ? Neither. Don’t sop it up at all when dining out. And those two bits of advice are only for starters. I was amazed by all the things one should and shouldn’t do. The Princess advised guests never to show up at a dinner party with spare friends or animals unless asking permission from the hostess beforehand. To illustrate her point, she told me that she once invited the director of a zoo to dinner and he came with a lion, causing pandemonium. Re-reading that today, I wonder if it was the whole truth. (Time magazine, where I was a stringer in the Paris bureau for many years, would have got a fact checker on it). Anyway, it was a great story and that’s what counts. I didn’t know it at the time but I would dine out (pardon the pun) on that article and that subject for decades. The article led me to consider French behavior in general which led to my first book, French Toast, followed by two others, also on the arcane and mysterious ways of the French. Had the Paris Metro editor not given me such a bigger than life source to interview, nor encouraged me to write fresh and funny, that article would have been an end rather than a beginning. As it was, I found a subject and a style. In sum, Paris Metro was a bright spot in my freelance life, with all its ups and downs, the details of which I will kindly spare you. There’s only one down side to this story: when Paris Metro was liquidated, I was formally informed that I would be eligible for chomage (unemployment).. Being a bull-headed American, I didn’t bother. How wrong I was. I dined out on « politesse » for years – and in this Socialist country could have been on unemployment for years as well had I cared to pursue the matter. Well, we all make mistakes. No little regular unemployment checks and other goodies for me. But what I got was not so bad: writing for a publication the likes of which Paris has never seen again, dealing with editors who had great ideas and a great sense of fun, learning to take myself seriously as a writer whose words could make a difference even if they were only to make the reader laugh. That’s already a lot. And so the 70s passed, Paris Metro went under as so many wonderful publications did, I stayed in Paris freelancing and never left. Sometimes when you look back on past events or past places or past experiences, everything seems so much better – even if it probably wasn’t. In the case of Paris Metro, in my experience at least, it really was just as good as it seemed then. The proof : its successors never made the cut, never even got close. Someone really should get Paris Metro going again….But that’s another story. What’s in a word? A lot, if you consider one of the most important ones in the French language and that is Bonjour. Here’s what you need to know about Bonjour etiquette when visiting France: if you ask directions of a French person and don’t preface your request with a Bonjour (preferably a Bonjour, Monsieur or Bonjour, Madame), you’re likely either not to get your directions or get ones that will take you a long way from where you want to go. If you enter a shop and don’t say Bonjour, the service will be lousy. Why? Salespeople in France have complexes! They need to feel they are the equal of their customer and not subservient. They are NOT at your beck and call and will do everything to prove it. By not greeting them, you are treating them like ciphers, nonentities. You are giving them the not very subtle message that they don’t count. Which is why, to get their revenge, they’ll impose upon you the tedious, boring Bonjour drill which I have seen happen so many times it’s becoming predictable. This treatment is not restricted to foreigners. On a recent trip to the beautiful, hot, southern city of Marseilles, my French husband forgot to say Bonjour before he asked a question of a museum guard. The fellow looked at him with what can only be described as sheer loathing, recoiled and spit out a resounding: BONJOUR. My husband, being French, got it and replied: “Excusez-moi. Bonjour!” Even this apology didn’t work on the surly guard who once again faced my husband with a second, even more aggressive Bonjour, and a sneer to go with it. By this time, my husband was fed up and left the premises. He had decided, rightly, that the guy was a jerk. A few days later in the glamorous seaside town of Cannes, I was shopping in a store which sells a wonderful lemon liqueur called “Limoncello” which is made of the finest lemons in Menton. The salesperson, a sharp-eyed, active (even hyper) young woman was giving her rote sales pitch to everyone who came into the store. I had selected my bottle and headed for the counter as I waited for her to leave the person she was serving to come over to the cash register. But just then a young woman entered and quietly and politely asked her a question. I didn’t hear the question but I did hear a booming and aggressive BONJOUR from the salesperson who was obviously insulted that someone had stepped into her shop, asked a question and didn’t even bother to say hello. The woman, realizing her mistake, acquiesced but it was too late. But like the museum guard, the salesperson didn’t drop it. Instead, I heard BONJOUR a second time as the exasperated and furious salesperson faced down the young lady like a teacher with a recalcitrant student. This time, I was the one who left the premises, plunking my bottle on the counter and exiting the store. The salesperson, totally occupied with her Bonjour lesson, didn’t even see me go. So, here’s my advice: DO say Bonjour politely whenever you enter a store or ask for advice in the street. Don’t just launch into your request. Don’t worry about it being silly. Believe me, you can never say the word enough. Bonjour, bonjour, bonjour, bonjour! But DON’T let anyone bully you if you have forgotten the precious word. Yes, you’re rude if you don’t say bonjour, but anyone who makes you say it and then repeat it is rude as well. There’s a name for those kinds of people. They are Bonjour Bullies! This entry was posted in Uncategorized on September 22, 2016 by harriet.welty.